Over thirty industry leading companies were asked about their incident response processes and they mostly break down into five universal steps. Discover and sign up for cloud services all in one place. Reminds us of Heroku’s add-ons marketplace, but without being restricted to Heroku (no surprise then, that Manifold's founder worked on Heroku Add-ons ;-)). 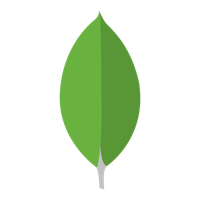 We put together a hub of our most popular resources to help jump-start your understanding of MongoDB. Check it out today. Hyperdrive is an in-beta Wordpress plugin from Josh Habdas that is said to speed up the stock Twenty Seventeen theme by “about 300%”. From September, certificate authorities will check a special ‘CAA’ record type on your domains to see if they’re allowed to issue certificates for them. Usually clients authenticate servers, but servers can check if clients have the right certificates too. For enterprise customers only for now but will roll out to all eventually. This is Red Hat’s first major foray into offering cloud-based developer tools and sits on top its Kubernetes-based OpenShift container management platform. An update to a survey of real-world container use. An interesting and relatively complete approach to a Go web application deployment. Since Nginx 1.13, support has been added for TLSv1.3. He hadn’t shared the story till now. A public postmortem shared for everyone to learn from. In related news is a look at if they support LXD.